Linda Mae Eickelberger, 77, of Paoli, passed away Monday November 12, 2018 at IU Health Paoli Hospital. She was born March 7, 1941 to parents, James Earl & Ruby May (Fisher) King. She is survived by: daughters- Sharon Eickelberger of Paoli & Sheila Buchanan (Bill) of Paoli; brothers- Leon King (Nancy) of English, Ronnie King (Ruth) of Orleans, Larry King (Bonnie) of Paoli & Danny King (Celeste) of Paoli; grandchildren- Darin Hess (Sarah) of Paoli; Destiny Sneed & Dylan Beaty; great grandchildren- Will Stroud, Sierra Manship, Amelia Hess, Emma Sneed & Ellie Sneed; son-n-law- Steve Jones of Paoli, sister-n-laws- Carol King & Beverly King & brother-n-law- Lynn Gilliatt. She is preceded in death by: parents; daughter- Sandy Jones; sister- Diana Gilliatt & stillborn twin sister & brothers- Howard King & David King. 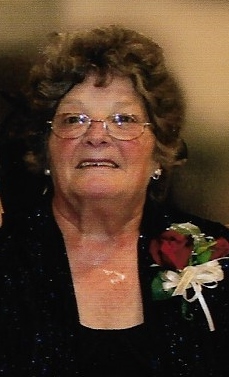 Funeral service for Linda Mae Eickelberger will be 7pm Wednesday, November 14 at McAdams Mortuary. Bro Gary Roll Will officiate. Cremation will follow. Friends may call from 4-7pm (the service time), Wednesday at the funeral home.